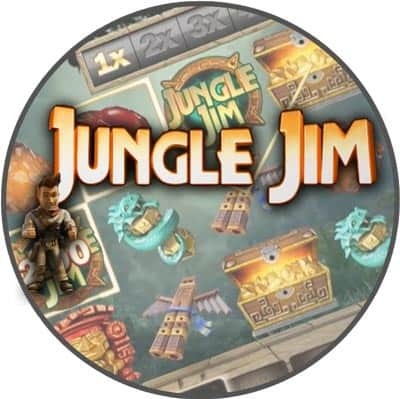 Jungle Jim is a friendly character that serves as a brave hero in Microgaming’s world. 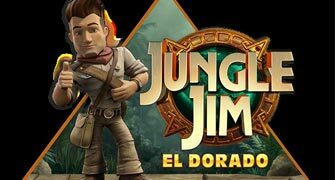 While the software company produces many high-end slots, it also produces those like Jungle Jim, which feels like a Saturday morning cartoon that players can place bets on. To see a list of some of our recommended casinos where you can play this slot, check our start page. The background of Jungle Jim leaves a lot to be desired, but the symbols on the reels are reminiscent of the cartoons almost everyone watched as a child. Flanking the sides of the reels is a small glimpse of a typical jungle. However, anything worth looking at in this game is plastered on the reels. The main symbol in the game is the title character, but he is also joined by an ageing professional, a pretty female assistant, as well as typical jungle animals such as a snake and purple spider. A piranha fish is also included in the mix. A jungle view serves as the game’s wild symbol and is the one to look out for. The bonus symbol is represented by a crocodile and a spear serves as the scatter symbol. The crocodile brings with him free spins when players get it on the reels three times on one spin. Players are then taken to a new game screen where they will see five crocodiles. Each one its own bright colour. Choosing one determines how many free spins a player will get. The highest number of free spins players can get from the bonus round is 10, which is a little on the low side compared to other slots. However, there is also the possibility that players can end up with a five times multiplier. Features of this game that may lure players into it include rolling reels and a multiplier trail, much like Microgaming’s Jurassic World slot. Rolling reels are great because they can help players have a winning streak that wouldn’t be possible otherwise. The best part about the rolling reels is that they are not confined to standard gameplay. They can appear during the free spin bonus as well. Multiplier trails are equally great because players win at least three times the amount of their bet and may even win five times their bet. When free spins are being played, an impressive 15 times multiplier is offered. Not the most high-quality game ever, Jungle Jim is eye-catching in a fun way. For those in the mood for some serious gaming, it may not be enough. But for anyone who just wants to escape from life for a while, Jungle Jim can be a great treat. Its bright colours are fun to look at and Jungle Jim should be able to put a smile on anyone’s face. It is difficult to be in a bad mood when playing the game, as it gives off a cheery vibe. For a quick whirl of fun, it can be the perfect game for any player that can appreciate its cartoon-like quality. If you like more adventurous slot games, then perhaps Jumanji from NetEnt can be a good choice as well.